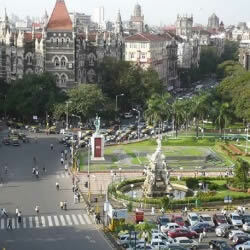 Best tourist places and tourist attractions in Mumbai can be covered in a one day walking tour. 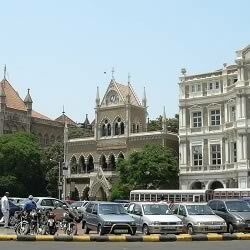 This article has a map and detailed information of the main places of interest in South Mumbai. 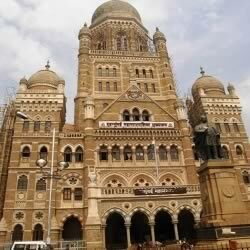 Most famous tourist places in South Mumbai are listed in the table. 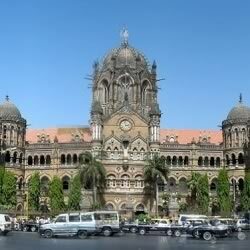 A detailed one day walking tour of these Mumbai attractions is given below. Please click on the links for details. OF INTEREST: Mumbai has 2 North-South Local Railway Line. 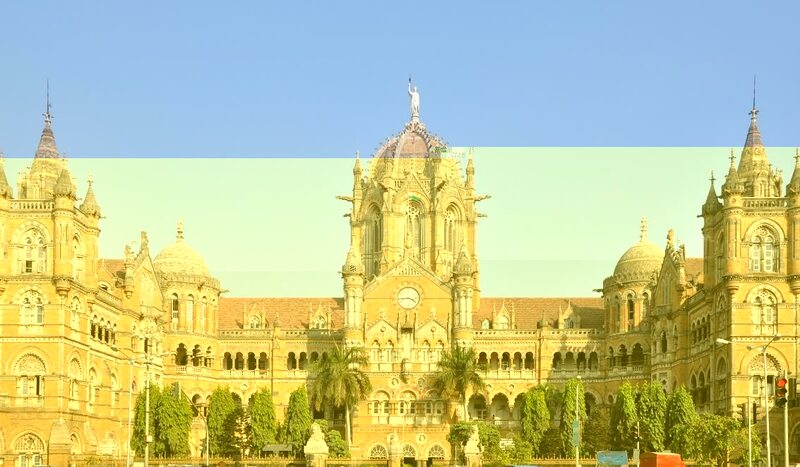 These are the Central Line, which starts from Victoria Terminus (VT) and the Western Line which starts from Churchgate Station. 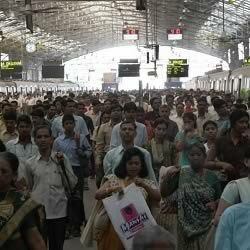 Churchgate station is one of the busiest railway stations in the world. To see a mass of humanity, enter the station during rush hour (9:00 am to 10:30 am or 5:30 pm to 7:30 pm). Start the tour on the Southern exit of Churchgate. On the left is a beautiful neo classical British era building which is the “Western Railway Headquarter”. 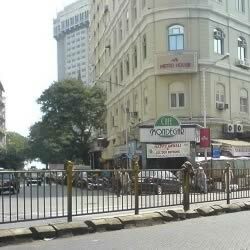 Opposite the road is the Life Insurance Building and Eros cinema. To the left of Eros is a wide open Oval shaped green ground that is surrounded by trees, called “Oval”. DISTANCE & DIRECTIONS: 400 meters. Turn right from Churchgate and walk towards the Arabian Sea. OF INTEREST: Stunning view of the Arabian Sea. 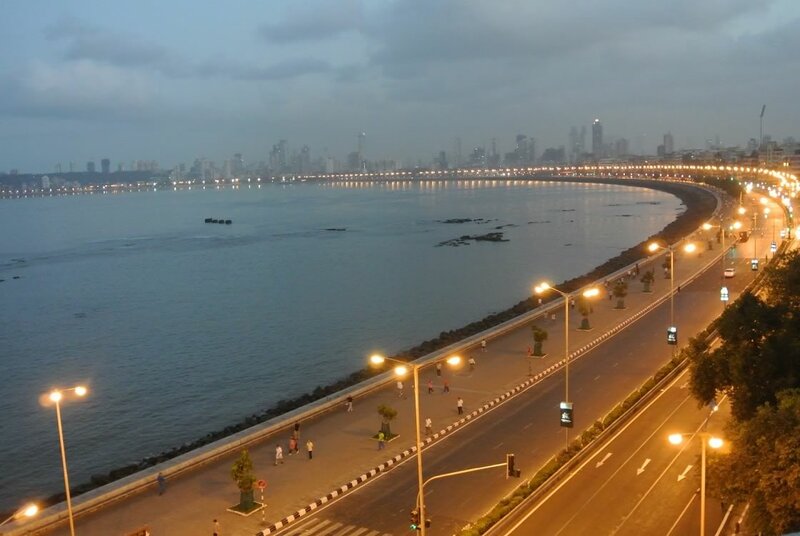 On a clear day the view of the sea and the broad promenade of Marine Drive is breath taking. 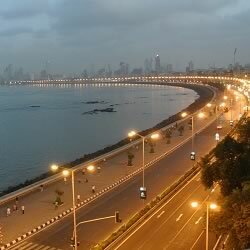 From end to end, Marine Drive is shaped like a necklace and it is also called the “Queen’s Necklace”. 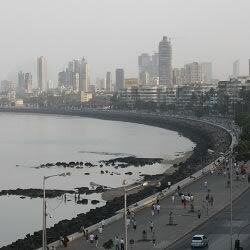 At the Southern Tip of Marine Drive is the business district of Nariman Point and at the Northern end are the golden sandy beach of Chowpatty and the wooded area of the Governor’s residence. There is a beautiful large promenade along the entire Marine Drive. 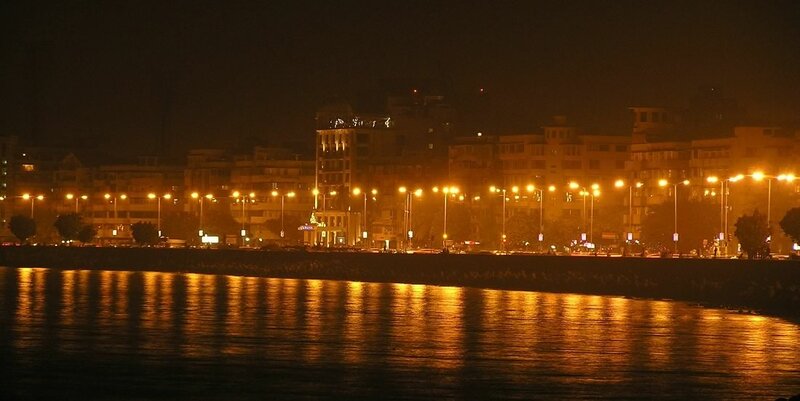 Enjoy a long walk along Marine Drive with the cool breeze of the Arabian Sea on your face. 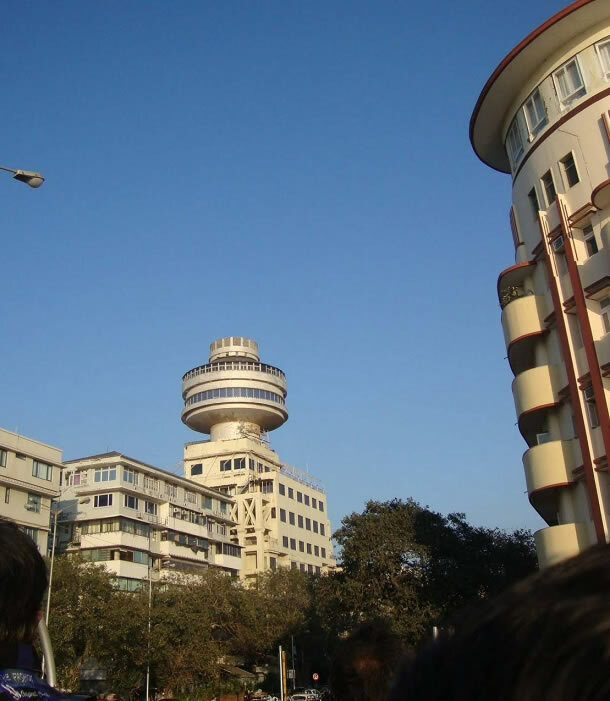 The “Art Deco” styled buildings along Marine Drive are among the largest collection of “Art Deco” architecture in the world. Few things are more pleasurable that spending a relaxed evening on Marine Drive watching the sun setting. 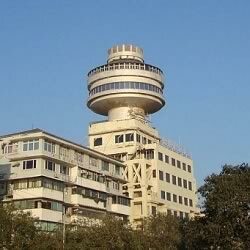 Notice a large round structure on Ambassador Hotel; this is “The Pearl of the Orient“, Mumbai’s only revolving restaurant. DISTANCE & DIRECTIONS: 1km. Walk south along the sea towards Nariman Point. The Air India building and Oberoi hotels are prominent landmarks. 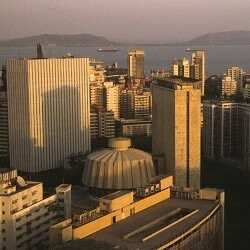 OF INTEREST: Nariman Point is a business district of Mumbai which has been built on reclaimed land in the late 1970s. Since most of the offices are over 30 years old, the architecture is not adventurous. 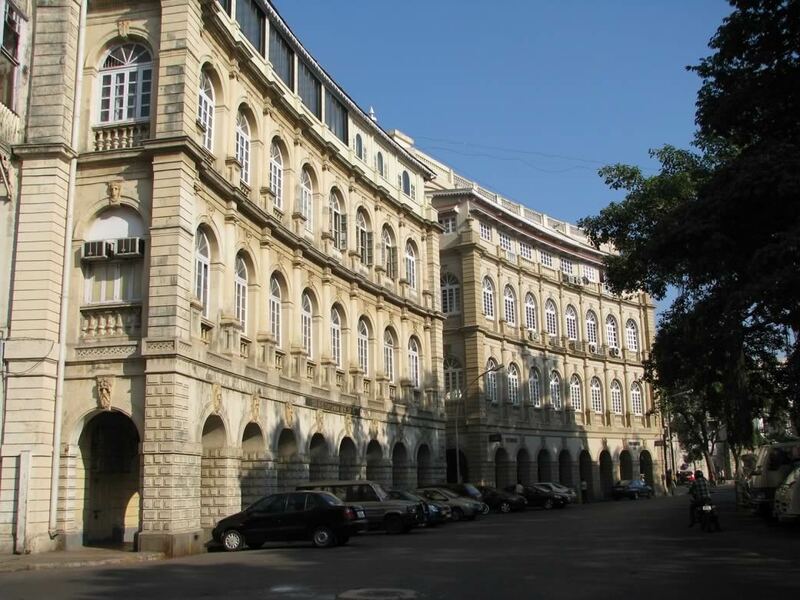 At one time, Nariman Point was among the top 3 most expensive real estate in the world. 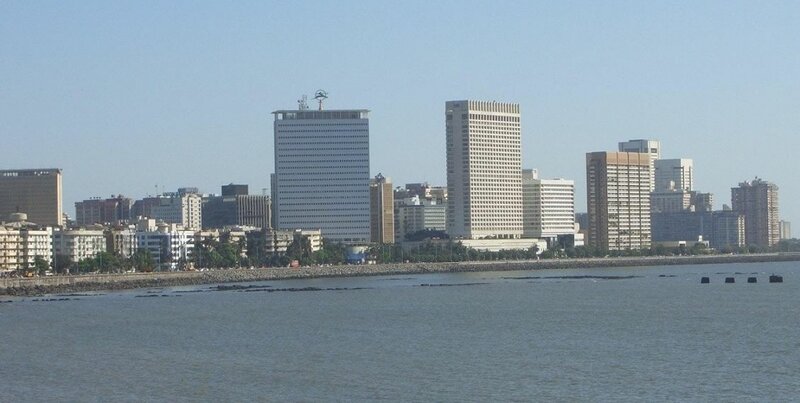 Nariman Point has many banks, finance companies, brokers, ad agencies, shipping firms, etc. The tip of Nariman Point offers a beautiful wide view of the Arabian Sea. On the south side is the posh locality of Cuffe Parade. To the left one can see a small fisherman village called “Machimar Nagar”. 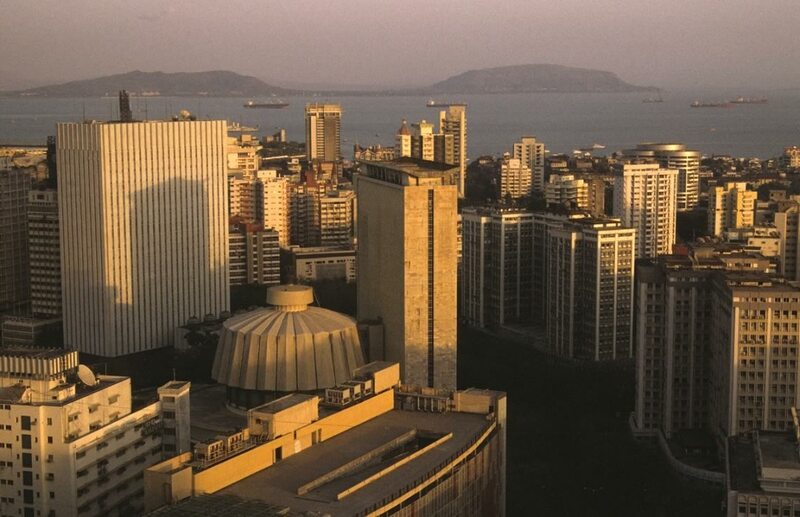 At the tip of Nariman Point is the National Center for Performing Arts (NCPA) and the Oberoi and Trident hotels. 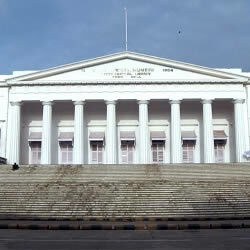 The round Maharashtra legislature building (Vidhan Bhavan) is also located in Nariman Point. It contains a large statue of the symbol of India which are 4 lions facing in 4 direction. 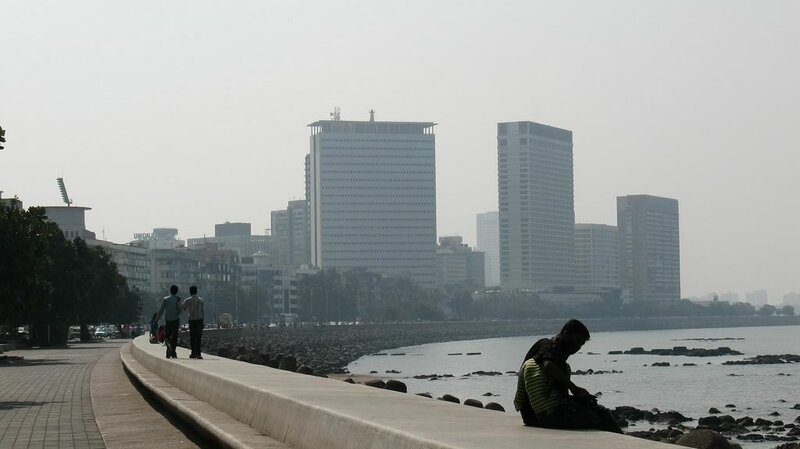 Walk along the tree lined streets of Nariman Point and feel the buzz and energy of the Indian economy. 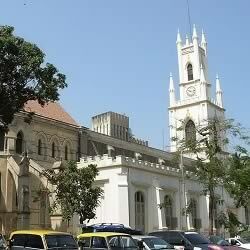 PUBLIC TRANSPORT: From outside Churchgate station there is a direct bus service to Nariman Point (Special 9). There are also share-a-taxi services from outside Churchgate. DISTANCE & DIRECTIONS: 2 Km. Walk away from the sea on the Madame Cama Road to reach Regal cinema round-about. 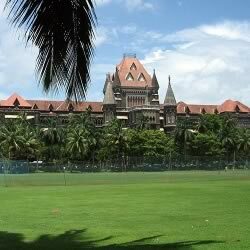 OF INTEREST: As one walks along Madame Cama Road, the large Oval ground and imposing Mumbai University building is on the left and Cooperage ground is on the right. 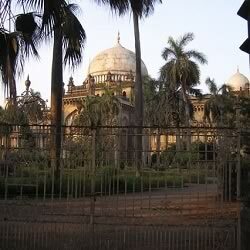 At the Regal round-about is the imposing Prince of Wales Museum (now called Chhatrapati Shivaji Maharaj Vastu Sangrahalaya). The museum was built in 1922 and houses around 50,000 artifacts and is a good example of the Indo-Saracenic style of architecture. 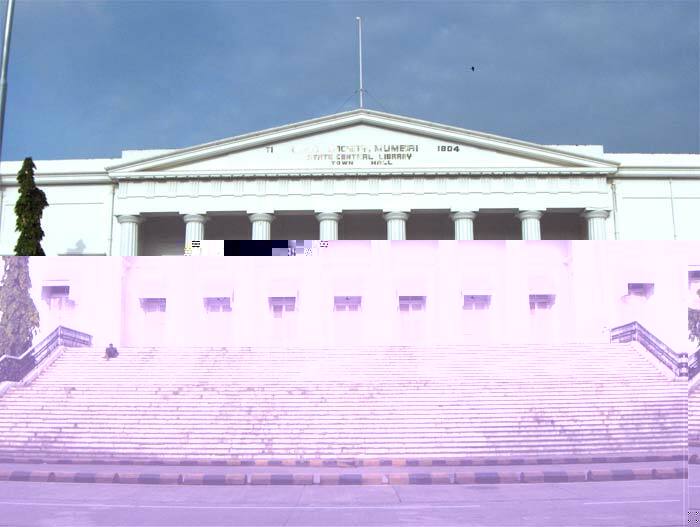 Opposite the museum is an impressive building with a large dome which is Mumbai’s National Gallery of Modern Art (NGMA). 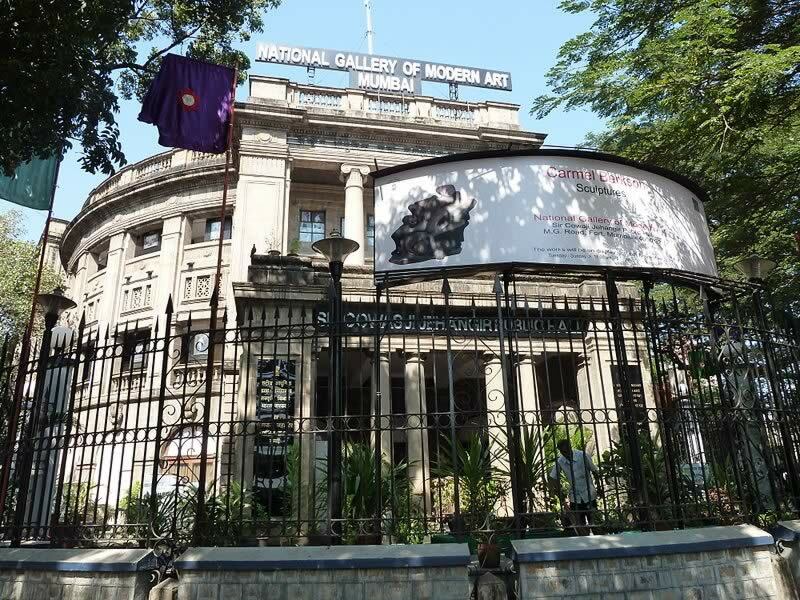 NGMA has works of many of India’s greatest contemporary artists including M F Hussain, Jatin Das, Jahangir Sabavala, Tyeb Mehta, S H Raza, F N Souza, etc. These may not be the artist’s greatest works, but it is a good introduction to modern Indian art. The gallery itself is an interesting 3 story structure with a large dome on top. Across the road is Regal cinema which was built in 1933. Across the road to its left is the impressive headquarters of Mumbai Police. 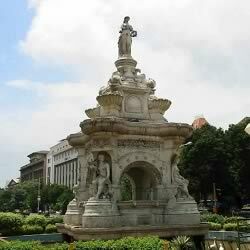 The most important monument in this area is the Gateway of India. The Gateway of India was built to commemorate the visit of King George V and Queen Mary to Bombay. This high arch structure is 26 meter/85 feet tall, built of yellow basalt and is influenced by Muslim and Indian architecture. 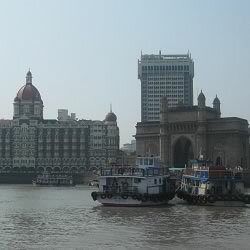 There are ferry boats along the Gateway of India which talk tourist for a short ride in the Arabian Sea. There are also ferries that take tourist to the island of the Elephanta Caves which contain Buddhist Cave carvings. 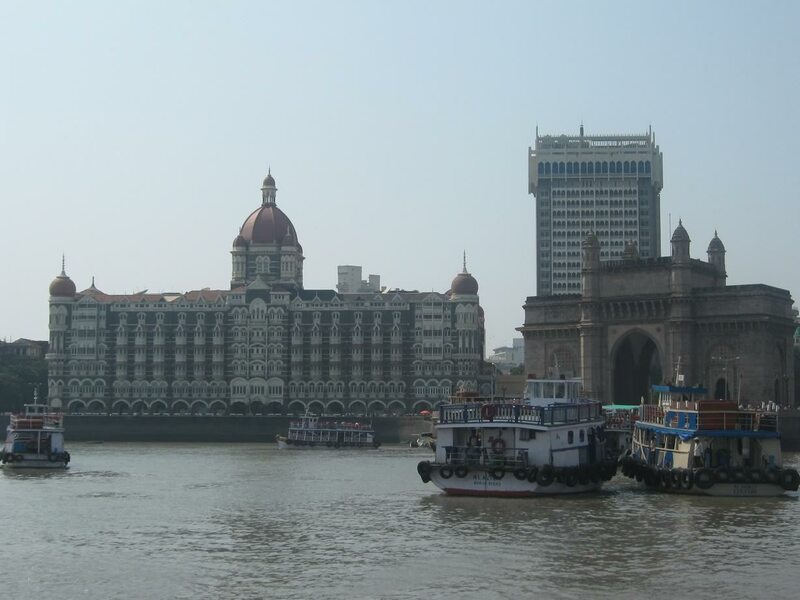 Opposite the Gateway of India is the Taj Mahal Hotel (old and new buildings). Visit the elegant old Taj Mahal building and enter a world of old-world charm and luxury. The Taj Mahal has hosted many world leaders. 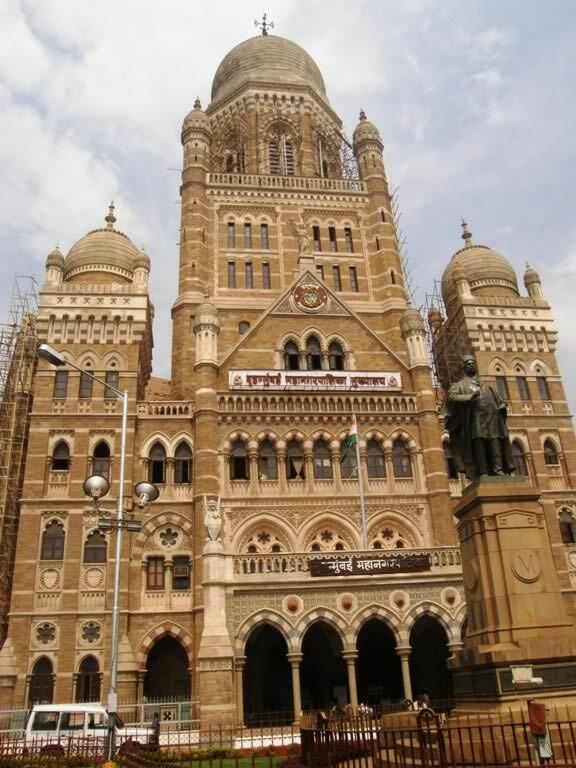 It was attacked and damaged during the 26 November, 2008 Mumbai terrorist strike. PUBLIC TRANSPORT: Buses are available from Madame Cama Road to Regal or take a taxi (fare less than Rs 30). Special Bus SPL 1 from Nariman Point to Regal. DISTANCE & DIRECTIONS: 2 Km. From the Gateway of India walk along the sea promenade (Appolo Bandar) to Radio Club and take a right turn to Colaba Causeway. From Colaba take a right turn to walk back to Regal. 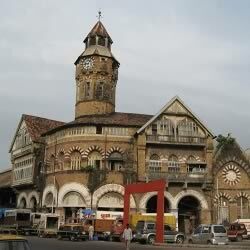 OF INTEREST: Colaba has many small hotels and guest houses and is a favorite destination for tourists and backpackers. 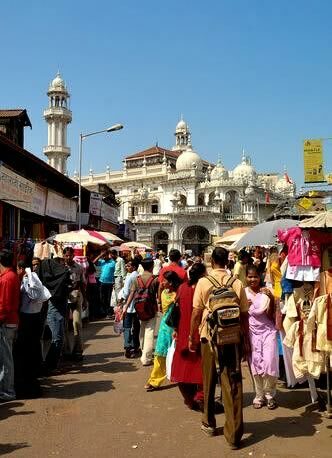 The main Colaba causeway is a shopping area and it has hawkers lining the pavement selling Indian handicrafts. For Indian handicraft products and souvenirs visit “Cottage Industries Exposition” and “Apsara International” on Colaba Causeway. Since there are many foreign tourists here, there are also many small restaurants that cater to tourist. Expect to find Indian, Moghlai, Iranian, Parsi, Lebanese, Continental, British, Chinese, Japanese food in Colaba. Have a cold beer at Café Leopold and Café Mondegar. Café Leopold was attacked during the November 26 terrorist attacks and there are bullet marks at the bar. Walk behind the Taj in the evenings and you can smell the mouth watering aroma of kebabs being cooked on coal at “Bade Miya”. This road side restaurant has become a Mumbai institution and so has the small Middle Eastern restaurant of “Bagdhadi” next to it. 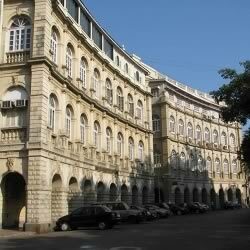 Colaba has a large gated colony for only Parsi/Zorastrian residents called Cusrow Bagh. 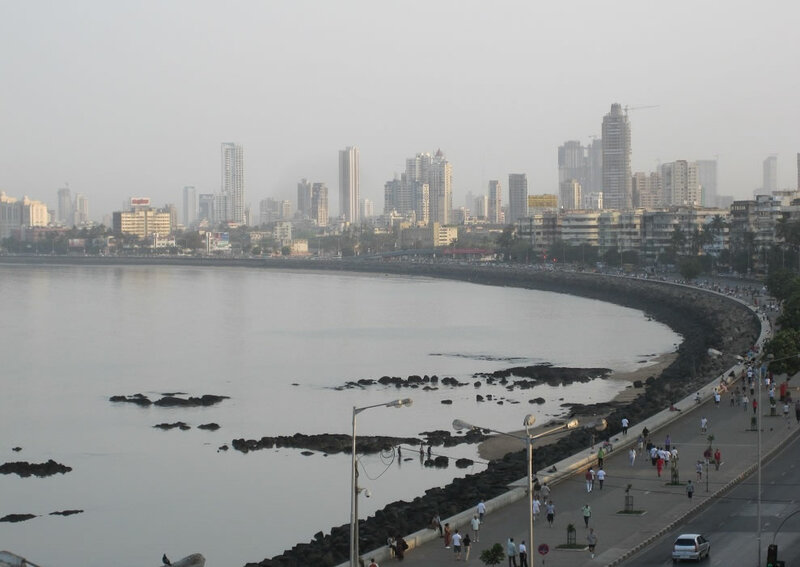 There are an estimated 100,000 Parsis in the world of which 60,000 to 70,000 live in Mumbai. This small, prosperous community came to India from Persia/Iran almost 1,200 years ago. Famous Parsis include the Tatas, Godrej, Shapoorji Palonji, Wadia, Freddy Mercury, Zubin Mehta, Homi Bhabha, Sam Manekshaw, Shiamak Davar, Boman Irani, Rohinton Mistry, Dadabhai Naoroji, Soli Sorabjee, Fali Nariman, etc. 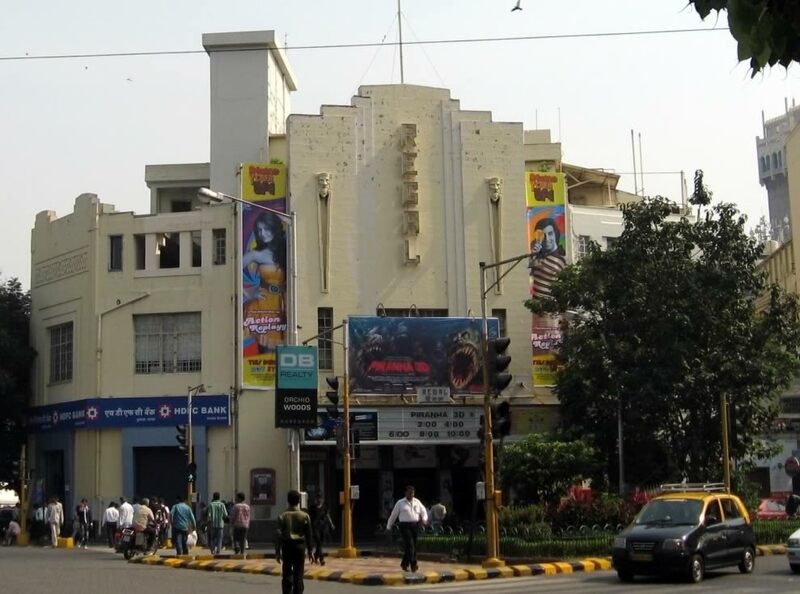 PUBLIC TRANSPORT: Many buses from Colaba to Regal, Churchgate, VT. DISTANCE & DIRECTIONS: 1.2 km. Walk North from Regal. 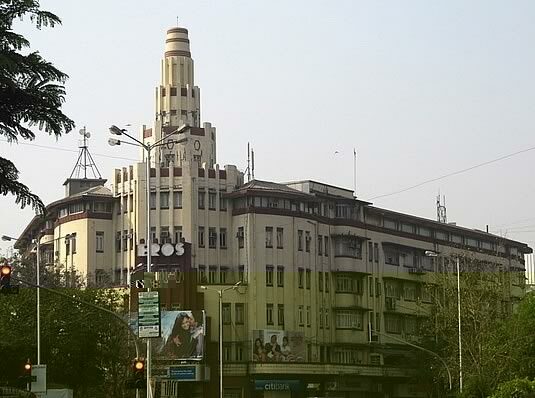 Turn left at Kala Ghoda and walk North along Oval until main road (Veer Nariman Road). 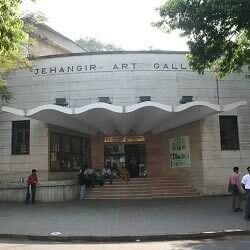 OF INTEREST: North of Regal is one of Mumbai’s oldest art galleries, Jehangir Art Gallery. 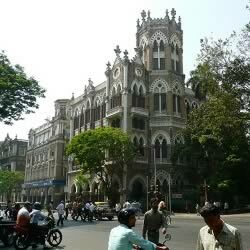 This area is called Kala Ghoda, and along with Colaba, it is the art gallery district of Mumbai. 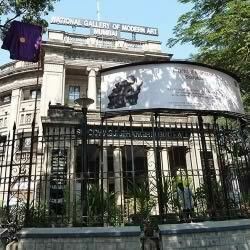 Do visit the galleries in this area to get a flavor of Indian art. Every year in February, Kala Ghoda is the venue of the Kala Ghoda Arts Festival which is Mumbai’s largest street festival, which has plays, movies, paintings, visual art, street art, street performances, children’s workshops, literary events, book readings, literary discussions, concerts, etc. 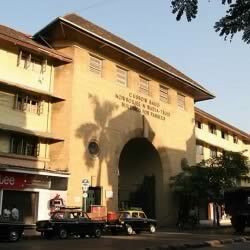 Just opposite Jehangir Gallery are three amazing Britesh era buildings – Elphinstone College, David Sassoon Library and Army and Navy Building. From Kala Ghoda, turn left to “Oval Maidan” which is a large open Oval shaped ground. Along the Oval are two large Gothic structures. 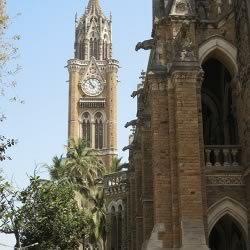 The first is the Mumbai University which has a large clock tower, called Rajabai Tower. Rajabai Tower is modeled on the Big Ben in London. Notice the beautiful stained glass windows in Rajabai Tower and the lovely spiral staircases of the university building. 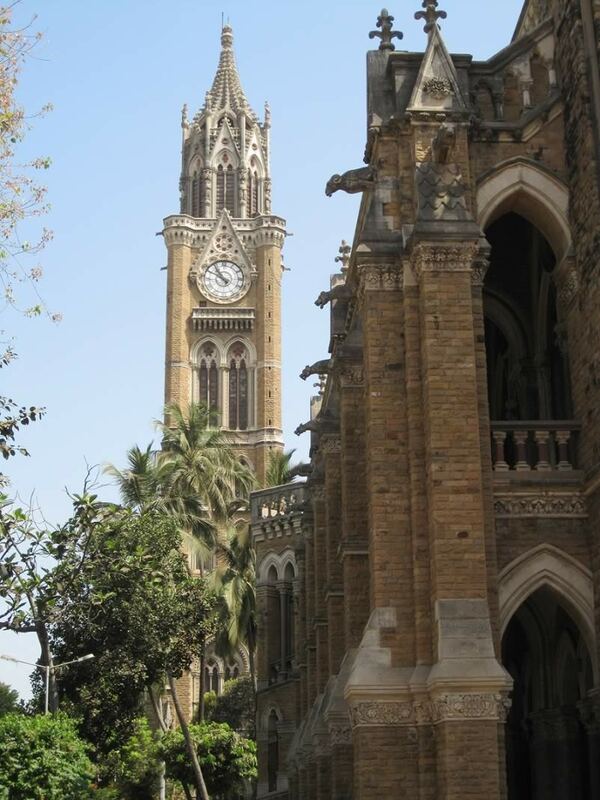 Next to the University is the Gothic structure of the Bombay High Court. DISTANCE & DIRECTIONS: 1.5 km. 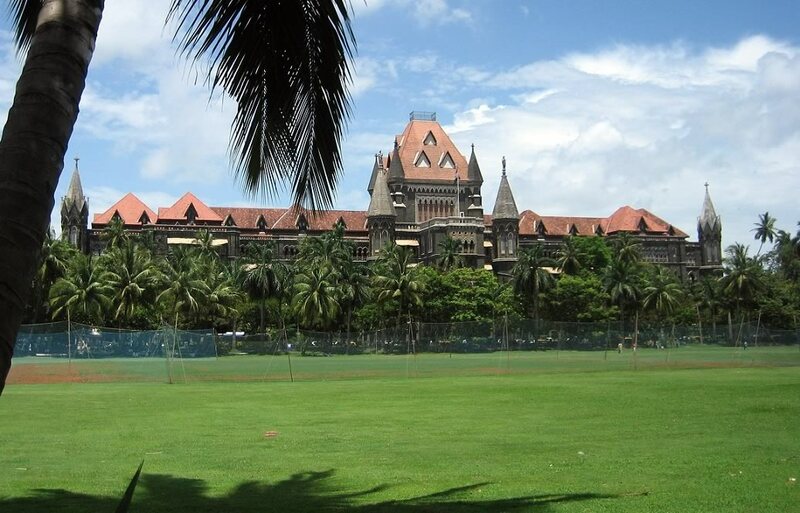 From the Bombay High Court turn right to Flora Fountain. OF INTEREST: The primary attraction of this place is the beautiful British era architecture which is mainly of the neo–Gothic and Indo-Saracenic style of architecture. 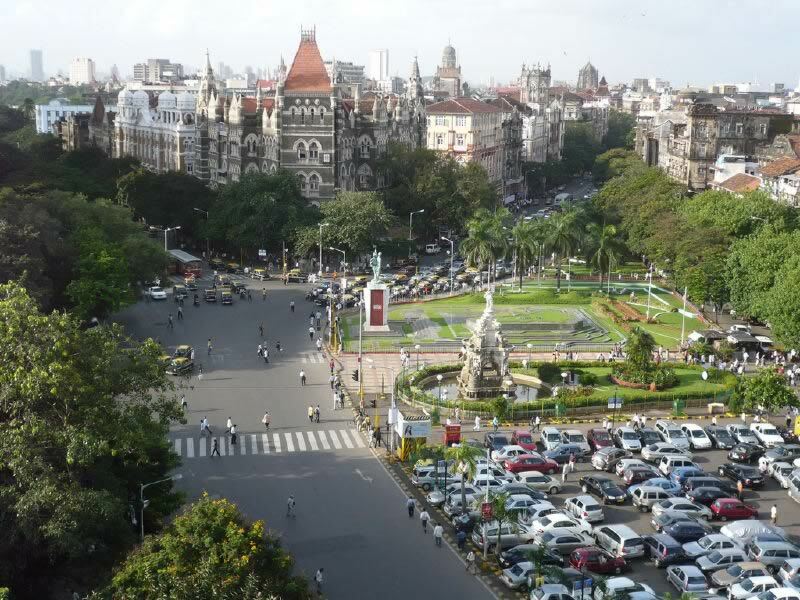 Fort (also called Flora Fountain because of the statue in the center, and Hutatma Chowk) is the center of activity in South Mumbai with roads from the two main stations (VT/CST and Churchgate) converging here. In the middle of the road are two statues – one of a girl in a fountain (Flora Fountain after the Roman Goddess of flowers, “Flora”) and the other of a Martyr with a flame (“Hutatma Chowk” memorial). All around are building that pre-date to British rule. There is an old world charm to this place. 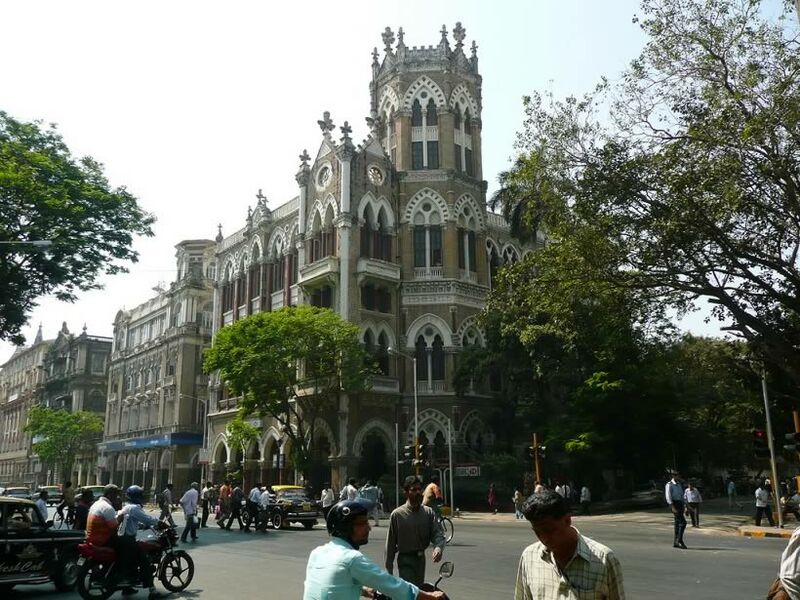 Among the stunning buildings around Flora Fountain are the Oriental Building, HSBC Building, Central Telegraph Office, Bombay House, St Thomas Cathedral. 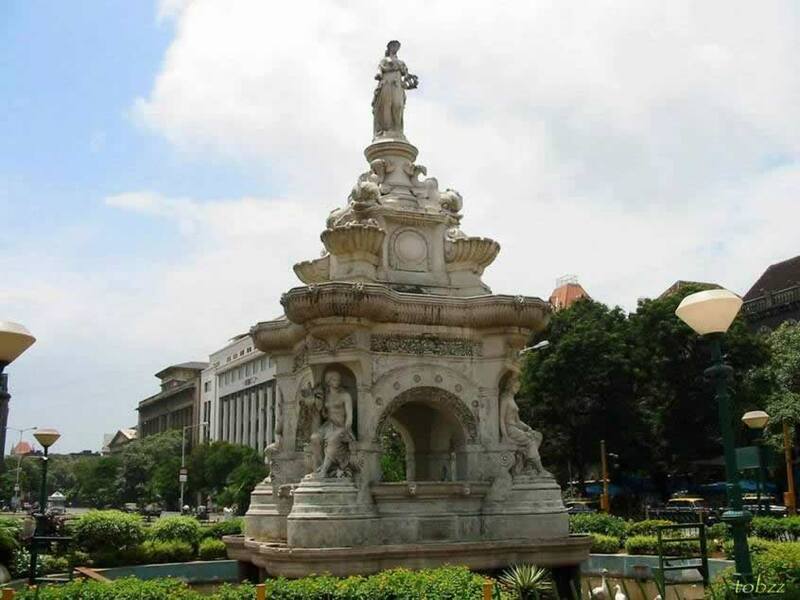 Flora Fountain and most places in a radius of 1.6 km (1 mile) around it is a business district. There is a hustle and bustle about this place on a regular working day. Feel the excitement and pace of Mumbai and watch Mumbai residents rush about their work. 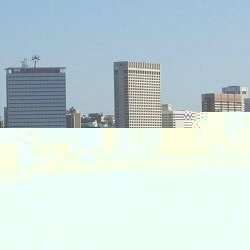 Look to the south and you will notice a tall cream building in the shape of a semi-arc. This is the Bombay Stock Exchange (BSE), which is the oldest stock exchange in Asia. Walking along the path shown in the map, you will reach Horminan Circle which has a charming park in its center. The arched Italian Gothic buildings on opposite sides of Horniman Circle remind one of similar buildings in London and Edinburgh. Observe the interesting statues on each arch. Near the circle is the St Thomas Cathedral. Step inside to escape the heat and be stunned by the exquisite statues and plaques in this incredible church. On the other side of the Horminan Circle are steps that lead up to the Asiatic Library (“Town Hall”). Hindi movie fans are sure to recognize this building from many Hindi films. 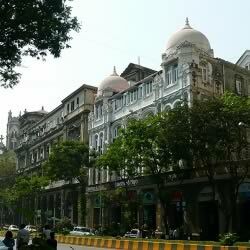 Horniman Circle is the location of the first Starbucks store in India. 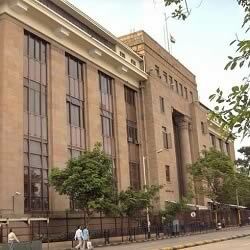 North of the Asiatic Library is the impressive building of the Reserve Bank Of India (RBI). With its massive doors, this imposing building does look like a secure bank. Opposite the RBI is a tall white building which is the new RBI building and the compound of the Indian Mint where Indian coins are made and gold is purified. East of this area is “Ballard Estate” which has some of the most beautiful old British era office buildings in Bombay. This is an office area and it gets deserted at night. Since the streets are empty at night, which is an oddity for Mumbai, film units like to shoot here at night. 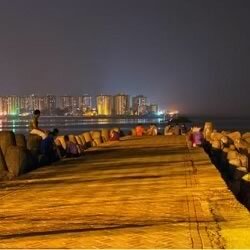 Hindi movie buff may recall movies which feature Ballard Pier. Beyond Ballard Pier are the docks. 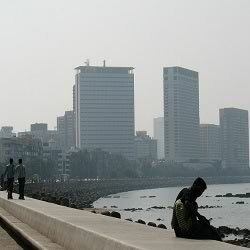 Most of the Eastern sea coast of Mumbai is docks. Mumbai has a natural sea port. Some of the docks are naval defense docks. Entry to the docks is restricted. PUBLIC TRANSPORT: Many buses available. 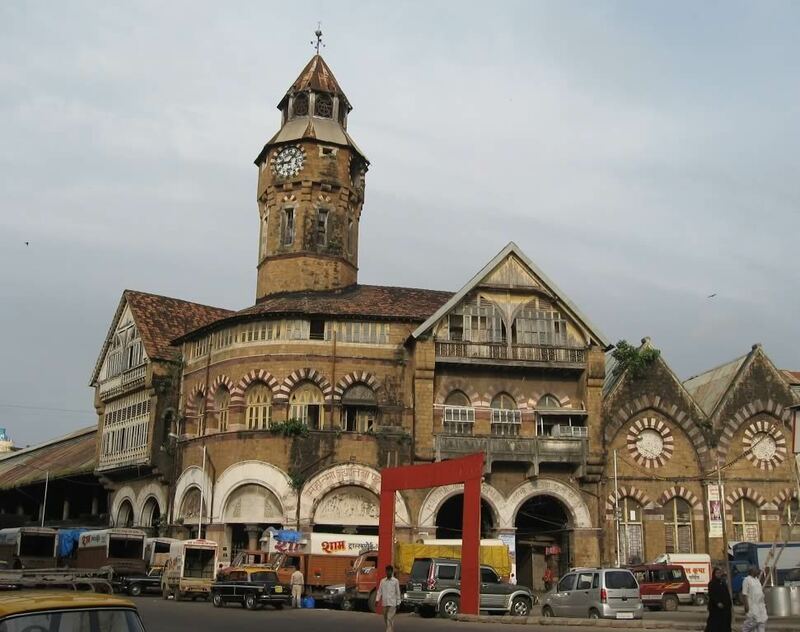 OF INTEREST: Mumbai’s “Heritage Mile” starts from Flora Fountain (Fort), moves along Dadabhai Naoroji Road (D N Road, formerly known as Hornby Road) to Victoria Terminus Station (also called Chatrapati Shivaji Terminus) and ends at Mumbai’s busiest wholesale market, Crawford Market. The “Heritage Mile” is a beautiful showcase of British era architecture. The “Heritage Mile Association” is a citizen’s association whose objective is to promote regeneration of the area and restore the heritage character of D N Road. 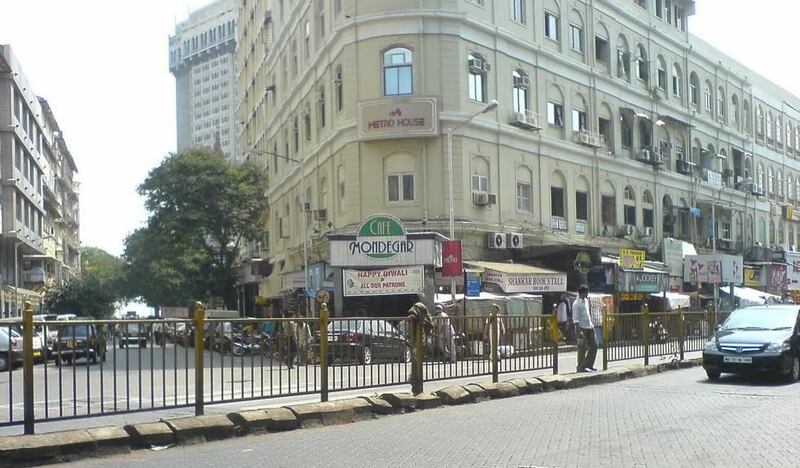 Pherozeshah Mehta Road (P M Road) and D N Road (Dr Dadabhai Naoroji Road) are busy commercial districts of Mumbai. Explore British colonial facades in this 19th century road. 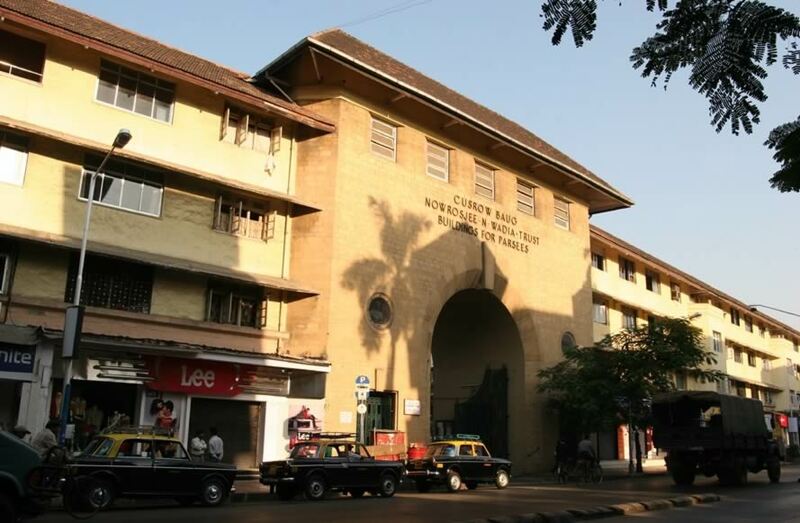 The buildings of note on D N Road are Vatcha Agiary, which is a Parsi fire temple with Assyrian statues and architecture (Note: Non-Parsis are not allowed in the Agiary); J.N.Petit Public Library; Eruchshaw Building. 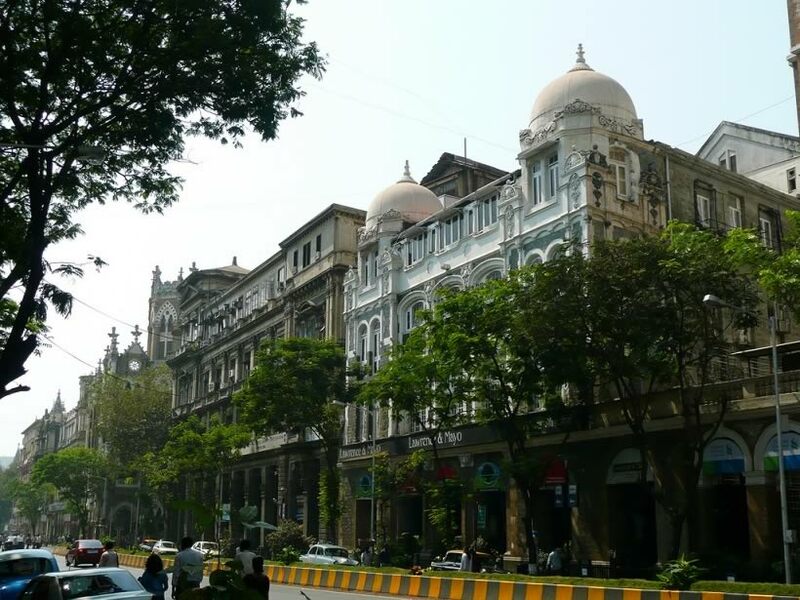 The architecture of buildings in South Bombay has strong influence of “British Gothic”, “Victorian”, “Indo-Saracenic” (Mughal and Indian influence) and “Art Deco” styles of architecture. Some of these buildings may seem decrepit; this is because these buildings are labeled as heritage structures and they require special permissions for renovation work. Also, Bombay has an antiquated rent act which has not allowed old landlords to increase rent in the last 30-40 years. Some of the offices in these buildings pay a paltry rent of Rs 100-200 per month ($4-6 or GBP 2-3). There are small street vendors on both sides of the road trying to entice visitors to buy the latest pirated movie, software and playstation games. 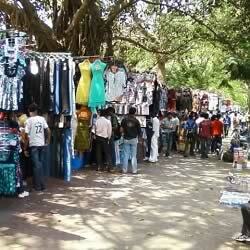 Many of these street vendors also sell electronic items which should be avoided. Opposite the Citibank branch is a slightly run down looking shop that stretches across an entire building. This is the Khadi Gram Udyog Bhavan which sells “Khadi” (hand woven cloth popularized by Mahatma Gandhi) and Indian handicraft made by Indian artisans. This is a good place to buy an authentic Indian souvenir. “Bombay Store” on Pherozeshah Mehta Road also has authentic Indian handicraft souvenirs. 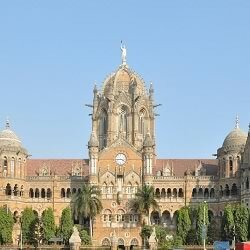 OF INTEREST: The majestic Victoria Terminus Station (VT) (also called Chhatrapati Shivaji Terminus – CST) is the MOST STUNNING building in Mumbai. Victoria Terminus is an UNESCO World Heritage Site which was built in 1887 to commemorate the Golden Jubilee of Queen Victoria. British architect Frederick William Stevens designed the Victorian Gothic styled VT station which also has Indian architecture influences. The main VT building is a “C” shaped structure with a courtyard in the center. At the center of VT is a massive octagonal ribbed dome which is built without centering. The dome is topped by a statue of a woman, symbolizing “Progress” with a torch in her right hand and a wheel in her left hand. At the eight corners of the dome are gargoyles ready to leap out. VT has beautiful arches, spires, stained glass and windows. All around the outside of the station are interesting and intricate statues, carvings, metal work and sculptures. At the main gate is a statue of a lion (representing Britain) and a tiger (representing India). VT/CST station caters to both local and outstation trains. 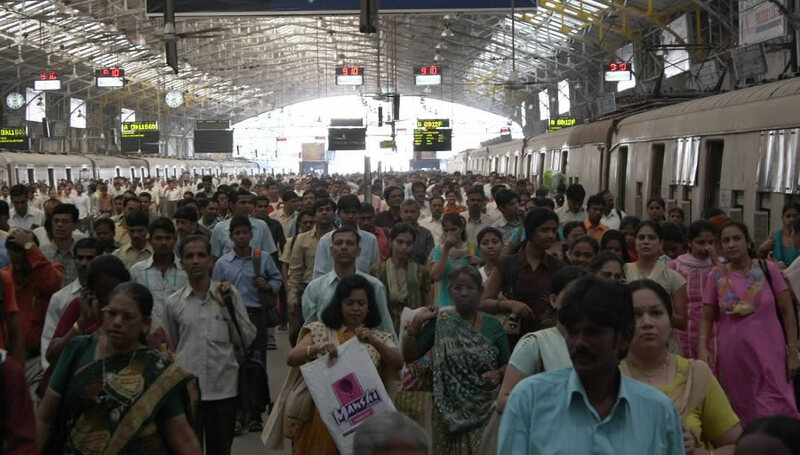 This is among the busiest stations in India and the world. 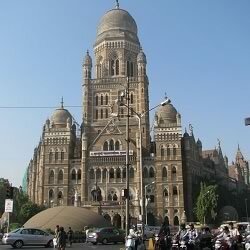 Opposite the VT station is the second most beautiful building in Mumbai, the headquarters of Mumbai’s Municipal Corporation (BMC – Brihanmumbai Municipal Corporation). This is another Gothic masterpiece designed by British architect Frederick William Stevens. This is a V Shaped structure with a tall tower covered with a central dome. There is a winged statue which represents ‘Urbs prima in Indis’ (the first city of India). At the entrance of the building is an impressive bronze statue of Sir Pherozshah Mehta who was a renowned lawyer, municipal commissioner of Bombay and 4 time president of Bombay municipality. 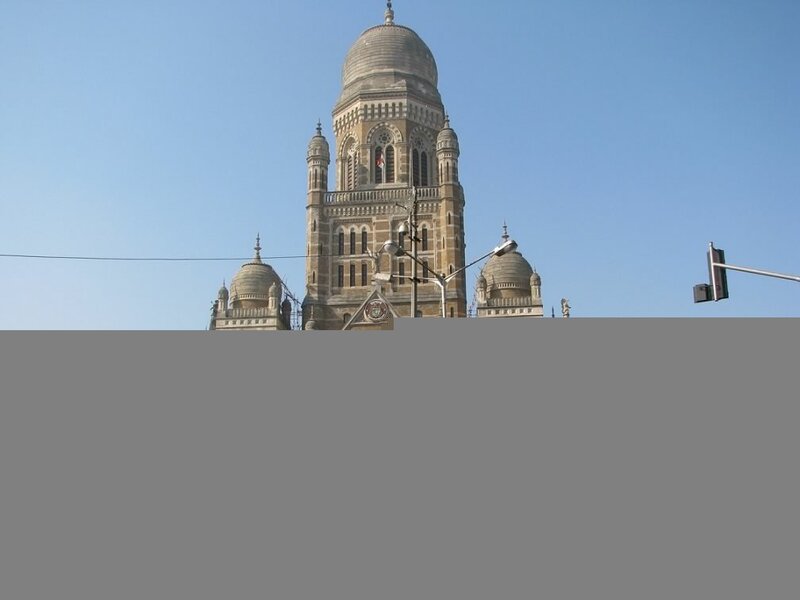 Just like the CST, the BMC HQ has stunning and intricate carvings, statues, sculptures, arches, stain glass, windows and domes. 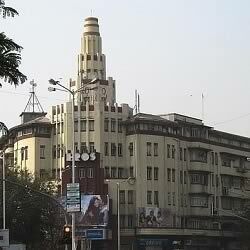 Behind the BMC HQ is the office of one of India’s oldest (founded 1838) newspaper, The Times of India. 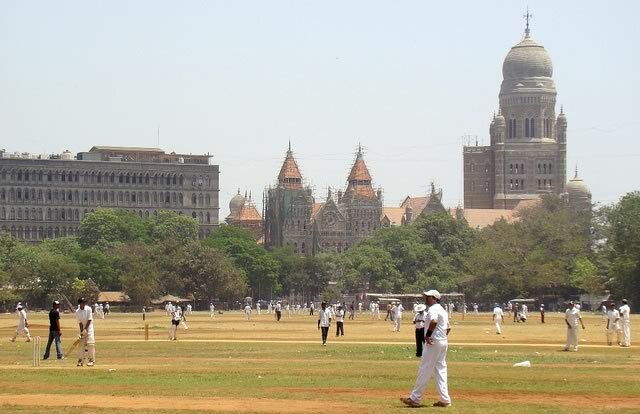 Opposite VT and to the left of the BMC HQ is a large playground with cricket pitches on it. 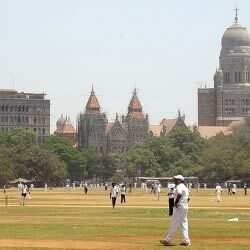 This is the famous Azad Maidan where Mumbaikars play India’s favorite game of cricket. There is one exclusive patch of green which belongs to Bombay Gymkhana club which is among the oldest gymkhana/clubs in Mumbai. In addition to a game of cricket one may also see a game of rugby being played here. Just behind VT Station is the General Post Office (GPO). Step inside its cool interiors where a large round structure with multiple windows dispenses Indian postal paraphernalia. LANDMARKS: JJ Flyover, JJ School of Arts, Mahatma Phule Market/Crawford Market, Mangaldas Market, Jama Masjid, Mumbadevi Temple, Police Headquarters. OF INTEREST: Crawford Market is Mumbai’s main wholesale market. It’s a terrific place to get a bargain. Expect narrow lanes, large crowds, noise, dirt, street shops, hawkers, pollution and above all great bargains. 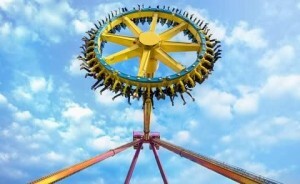 In short, have a great Indian bazaar experience. Different streets specialize in different goods (for example, toys, hardware, stationary, decorative items, paints, electrical items, cloth, machinery, etc). 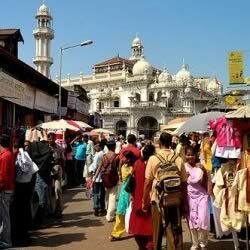 Near Crawford market is the Mumbadevi temple whose main deity, “Mumbadevi”, is the patron Goddess of Mumbai. 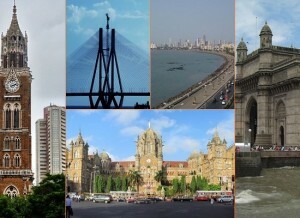 The word Mumbai is derived from her name. 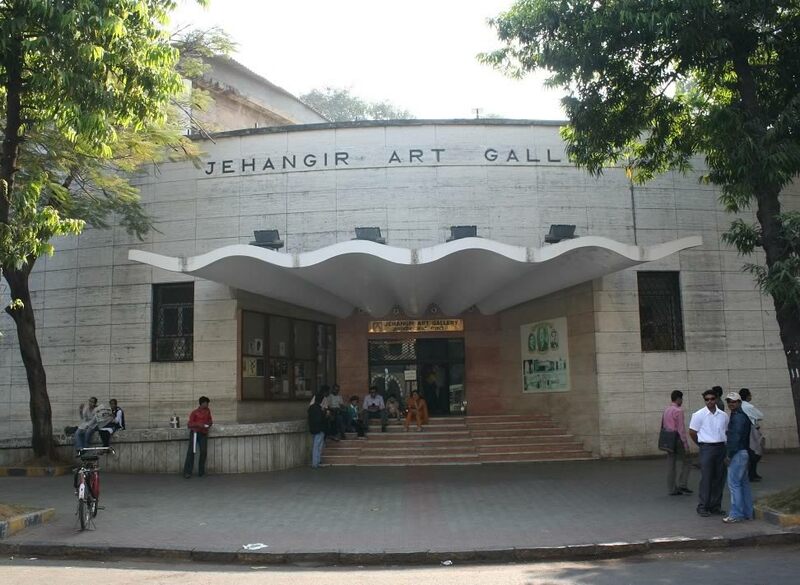 On the corner of Crawford Market is the JJ School of Arts, which is Mumbai premier art institute. DISTANCE & DIRECTIONS: 2 Km. Walk west from Crawford Market. 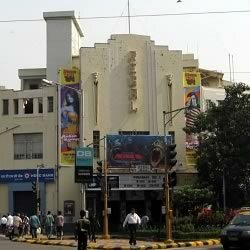 OF INTEREST: From Crawford market, walk west along the Lokmanya Tilak Road to Metro cinema. At the junction of Metro visit “Kayani” restaurant which is a typical “Irani” restaurant. Notice the quaint decor and the interesting menu. From Metro, turn south to the Mahatma Gandhi Road (M G Road). 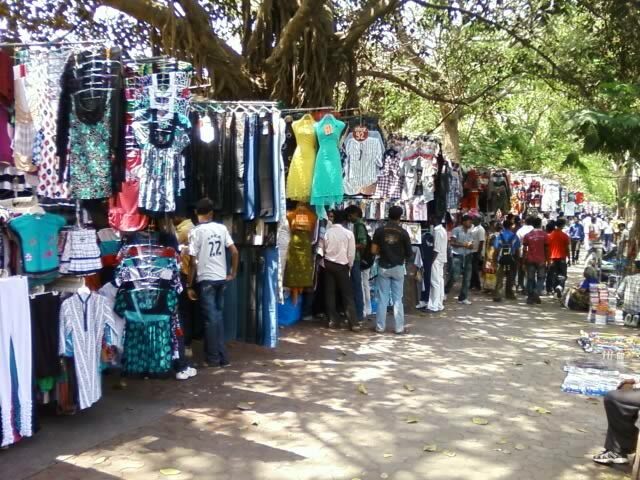 This shaded road with large trees on both sides is also called “Fashion Street” because of a large number of street stalls that sell clothes. On the left hand side of M G Road is Azad Maidan (Ground), Bombay Gymkhana and on the right hand side is the Cross Maidan. Many of Mumbai’s cricketers have honed their skills on these grounds. 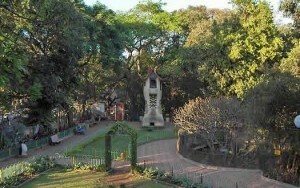 At the junction where M G Road meets Veer Nariman Road (via Karmaveer Bhaurao Patil Marg) is the Bhika Behram Well which is a Heritage 1 Parsi holy well. 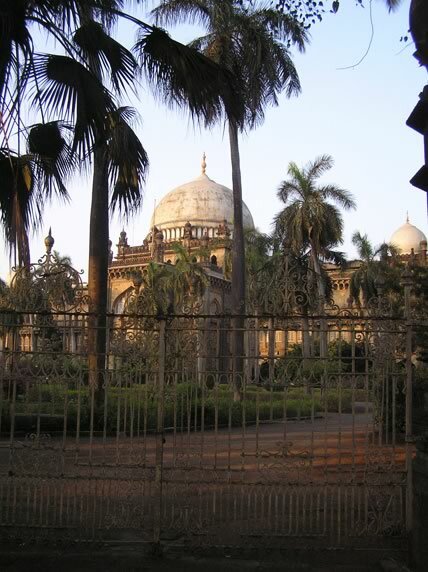 Only members of the Parsi and Irani community can enter this complex. Walk west along Veer Nariman Road to reach Churchgate station from where this adventure started. Other tourist sites in South Bombay include the sandy beaches of Chowpatty, the posh locality of Malabar Hills where the Hanging gardens are situated which give a panoramic view of South Mumbai and the holy water pond of Banganga at the tip of Walkeshwar. 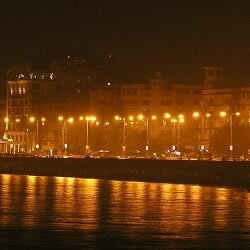 South Mumbai also has interesting places like Haji Ali, Mahalaxmi Temple, Babulnath Temple, Race Course, Dhobhi Ghat, etc. 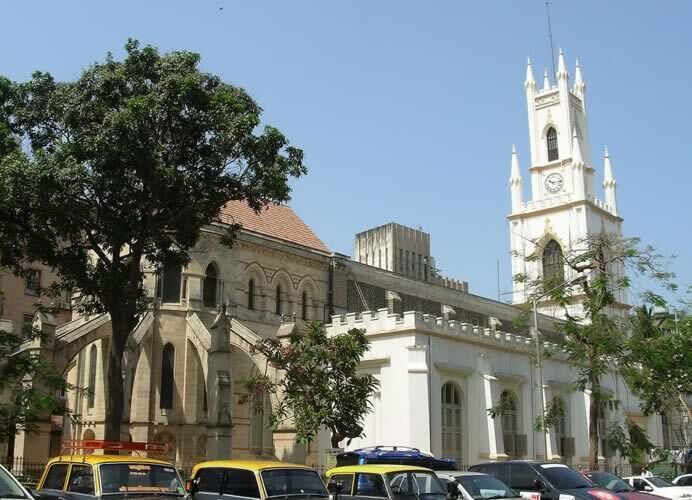 NOTE: In this article, the walking tour itinerary starts and ends at Churchgate; but one can start the tour from any of the points mentioned in the article. All along the route public transport in the form of BEST buses (Red single and double-decker buses) and Taxis (Black and Yellow) are easily available. Public transport in Mumbai is incredibly cheap. So if you do not feel like walking, hop onto a bus. Most of the route mentioned is covered by Special Bus SPL 1 and SPL 2 (Churchgate to Nariman Point to Regal to VT Station to Churchgate). At the cost of just Rs 10 (20 cents) most of the sites can be covered by these two buses. Additional Tips for Tourist Visiting Bombay.